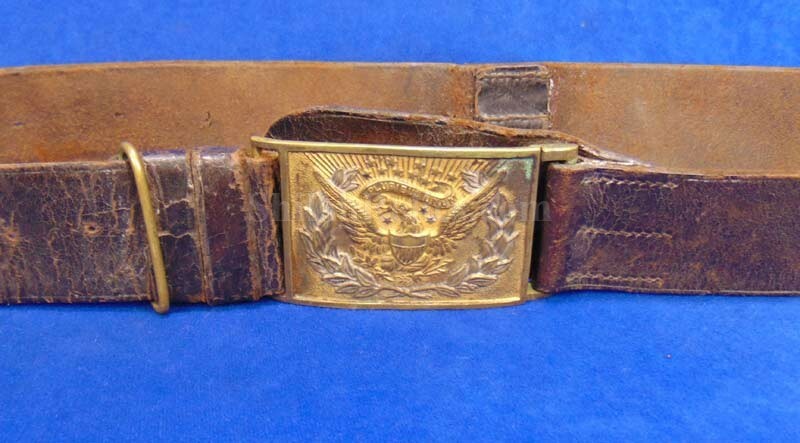 Here is a version of Civil War Eagle officers buckle that you seldom see offered for sale. 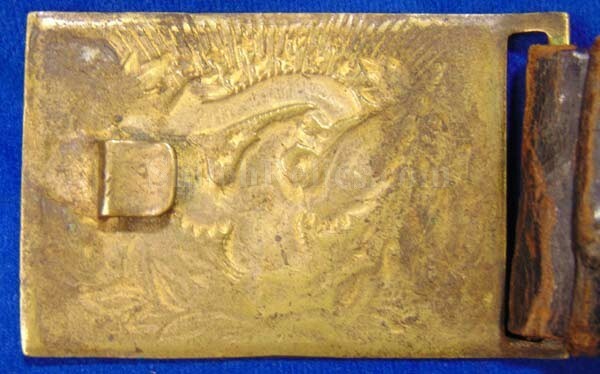 This is a variation of the buckle that is illustrated as plate 637 on page 386 of the belt buckle book by O'Donnell and Campbell. They state that this plate was produced circa 1863. The face of the plate is the standard regulation pattern of 1851. It has the spread wing Eagle in the center with the stars and "E Pluribus Unum" inside the ribbon style banner. It has the integrally cast wreath surrounding the Eagle. What makes this one different is the pattern that is on the reverse. When you turn it over, you can see the Eagle style design. O'Donnell and Campbell state that this is a "result of a follow-up die strike or part of the mold pattern." 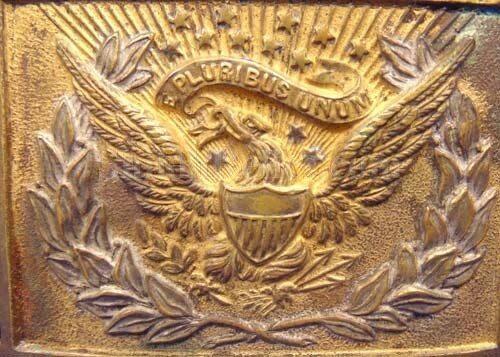 You encounter a relatively small amount of these compared to the standard cast brass Eagle belt buckles. 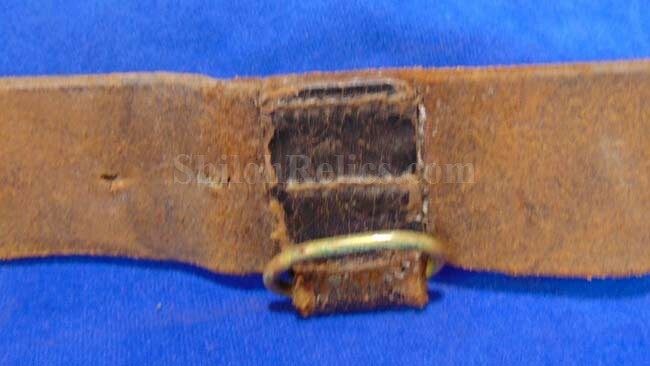 One thing that makes this one special is that it is on the original bridle leather belt. The original matching keeper is present on the belt as well as the brass belt length adjuster. 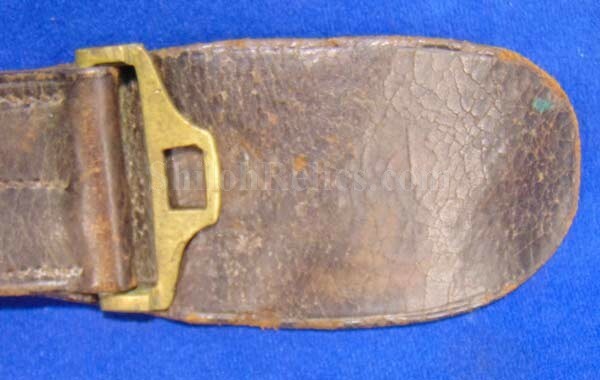 On the back of the belt, it has the original single brass hanging loop. This is where the sword hanger would have attached at one time(missing).